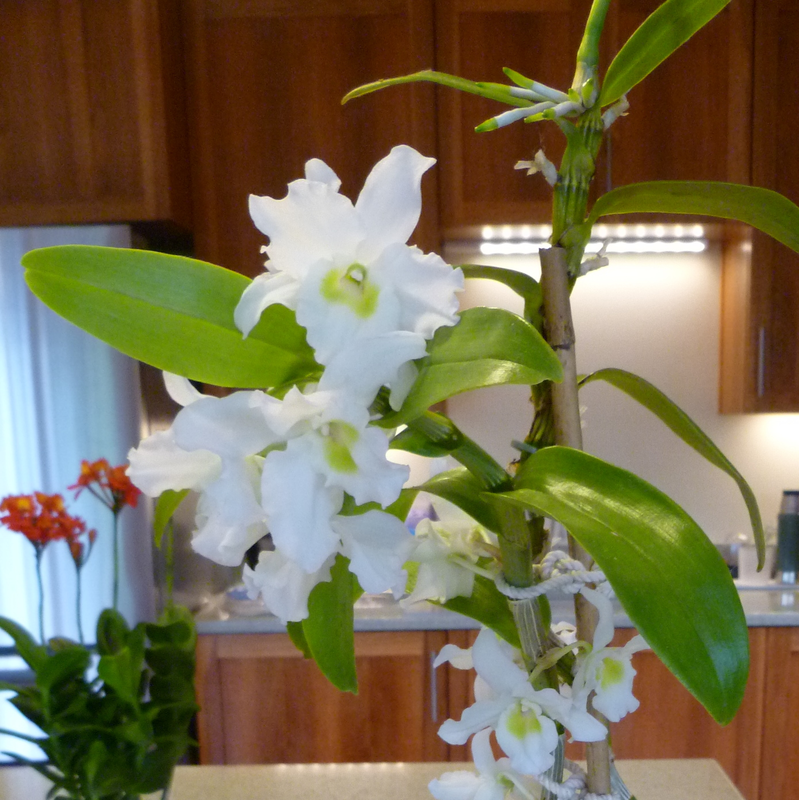 Most of the Yamamoto-type dendrobiums bloom twice yearly for me. They are not full and massive like the ones in the Yamamoto website, but I like the airy appearance they make for me, better. Which is a good thing, since there's much chance to grow them like the published photos. I give them high nitrogen orchid food when new growth is appearing, and low nitrogen after that. I keep them outside in the summer to early fall, and in a south facing window in the winter. These are very rewarding for me. The fragrance is very faint. Brutal_Dreamer, gardenguysorchids, catttan and 7 others like this. Beautiful! whats the secret to flowering them? They should be blooming now here, but my Xmas Chimes 'Azuka' has no sign of any. I think they like full sun when growing. They like cool nights, which might be why they do well here. I give them a 30:10:10 when the growths are developing, then switch to a 10:10:10 or similar when the growths stop. They are in a fast draining medium. 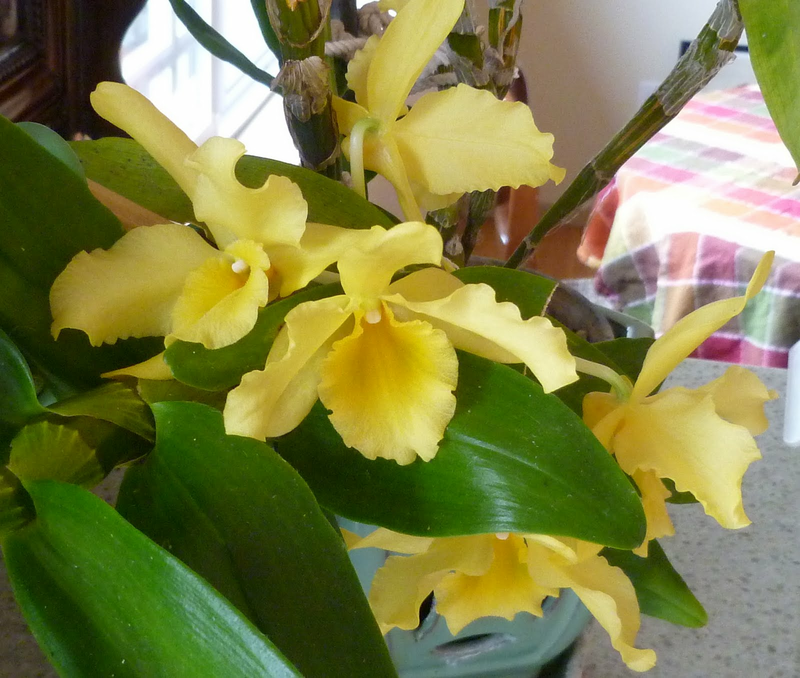 The keikis that I start reach blooming size in 1 to 2 years. I leave canes in place evern after they have bloomed and have no leaves. Beautiful !!! Wish I could grow them. Thanks for sharing. 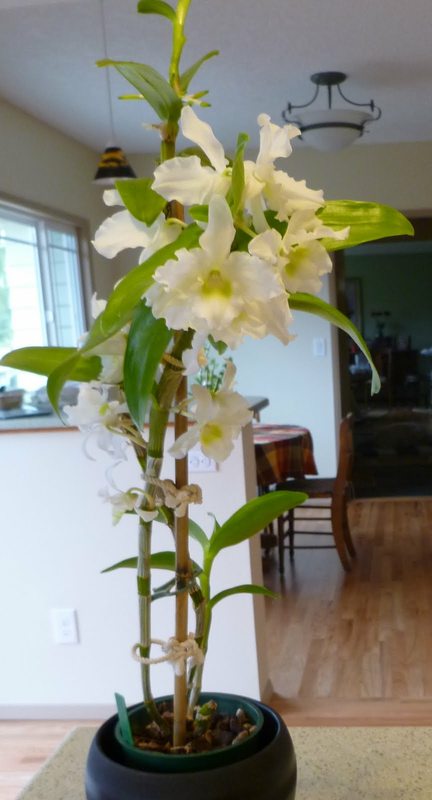 Beautiful dendrobium orchids. Love the yellow one especially; it looks so happy. Both look like healthy, well grown plants. Attractive colours. Congratulations on getting them to flower.